Paul Reynolds focuses his practice on corporate and transactional matters and is located in Dinsmore's Cincinnati office. With more than 20 years of experience serving as in-house counsel to a regional bank with more than $100 billion in assets, Paul brings unique insight to banking and financial law. He also has extensive experience advising on general corporate matters, including governance, transactions, real estate, facilities, human resources and sourcing. His thorough knowledge of banking laws, regulations and statutes enable him to counsel clients on a wide variety of issues, including commercial and corporate financing, capital planning, loan workouts, securities, Dodd-Frank issues, and all manners of regulatory compliance. Paul’s experience working in-house, as an attorney and in various capacities as a member of executive management, enables him to provide a different perspective to clients on banking and financing, as well as general corporate matters, allowing for a well-rounded viewpoint that helps clients meet their goals. He also has advised on a number of mergers and acquisitions, handling everything from managing the transactions themselves to overseeing the subsequent integrations of systems, products, services and people. 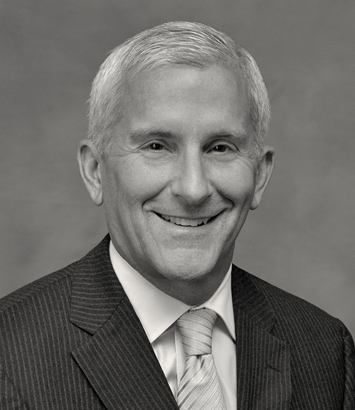 Paul’s various roles while working in-house, including serving as general counsel, executive vice-president, chief administrative officer and chief risk officer, as well as secretary and adviser to the board, have provided him with myriad leadership skills. He is adept at managing teams through complex matters, and his practical, measured approach enables him to quickly become a trusted ally to his clients. Prior to going in-house, Paul practiced at Graydon, Head & Ritchey, giving him more than 25 years of experience with the financial market in the region.